It looks like US Cellular will be augmenting its line-up with more than the Samsung ATIV Odyssey this summer. 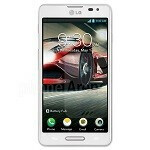 More documentation has leaked showing the mid-range LG Optimus F7 set to make its debut with the large regional carrier. Pricing and release date are not noted in the documents, but we do not suspect the price of admission will be very high. According to the specifications on US Cellular’s materials, the Optimus F7 will support LTE and provide long battery life. One error we can see is related to the screen resolution. The 4.7-inch screen is said to sport a resolution of 540x960, but that would only provide a pixel density of 234ppi. Meanwhile, the document shows 313ppi which is in line with what we have listed in our preliminary specifications summary. We will chalk that up as a typo. Under the hood is a dual-core 1.5GHz CPU running Android 4.1.2 Jelly Bean and being fed by an ample sized 2,540mAh battery and 2GB of RAM. LG claims the power saving features of the Optimus F7 will get users through “all day and night.” On the back is an 8MP camera, on the front is a 1.3MP sensor. All-in-all, the Optimus F7 will be a very capable handset when it launches. Either the ppi is wrong or the resolution is... Cause 720p on a 4.7 incher comes to 313 ppi. I'm hoping it's HD. Some people can't even understand opinions commented in good will. O well, they don't want progress i guess. Nice phone. Contract free phones are looking pretty damn good. When it'll come to India, its younger brothers are already launched. I need to know why there is 2gb of RAM suggested when the boost mobile F7 comes with 1gb!! !